Classes are instructed by Randy Case and Gary Roy in Florida (Palm Beach and Martin County). We are also conducting training in Georiga and cover Atlanta, Macon, Tifton, and Valdosta. 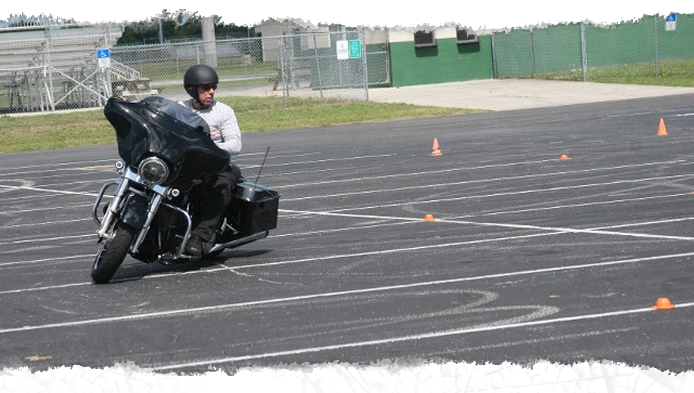 Classes are for experienced riders wanting to enhance their motorcycle skills. The course is based on Police Motor Officer Training and it will have your confidence and skills improving 100% before the class is complete. This is NOT for receiving your motorcycle endorsement. 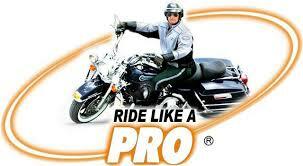 Riders must have their motorcycle license and should have at least 3,000 miles experience before taking this class. You can register by clicking on the register tab or call (561) 320-6711 to reserve your position with a partial non-refundable deposit. If you sign up for this training and do not show up, you will lose your deposit. Many riders are waiting to take the class. All riders use their own motorcycle. If the weather for a specific class date looks to be a washout due to heavy rains, all riders are contacted the day before that class to reschedule. If you cannot reschedule at the time we call we will credit you so that you can attend any of our classes at a later date. There is a maximum of 10 riders per class. The Ride Like a Pro Training is focused on teaching the average rider the three Motor Officer techniques and is geared toward low speed motorcycle handling. Low speed motorcycle training is important because below 20 mph, there is no gyroscopic effect and gravity tends to pull the motorcycle to the ground. Learning the three Motor Officer techniques prevents this from happening. The course is based on Police style training. The rider will learn all the tips, tricks, and techniques needed to master low speed operation. Your skills will be at whole new level. NEVER FEAR THE U-TURN AGAIN. Police Motor Officers are the top 2% of riders in America. They are able to handle 800 lb. motorcycles with the ease of a child’s toy. What do Police Motor Officers know about riding that you don’t? Simply put, these officers know three techniques. These techniques allow anyone regardless of their size or strength to handle even the biggest, heaviest motorcycle with ease and confidence.